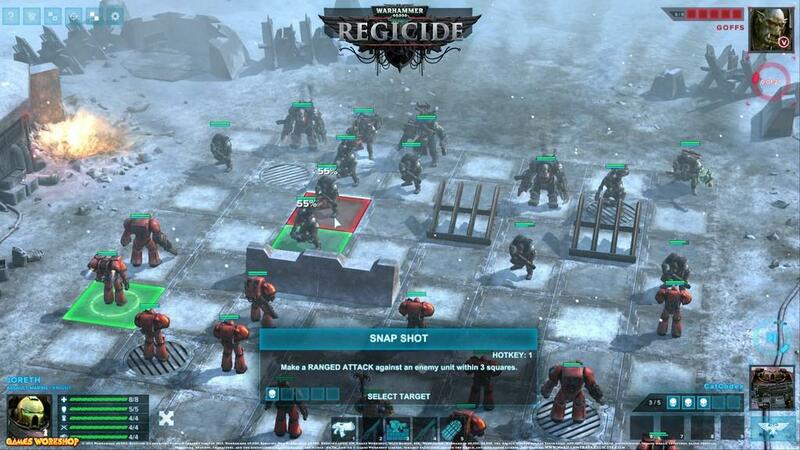 Warhammer 40,000: Regicide from developer Hammerfall Publishing combines the classic board game of chess with Games Workshop's Warhammer 40,000 universe. 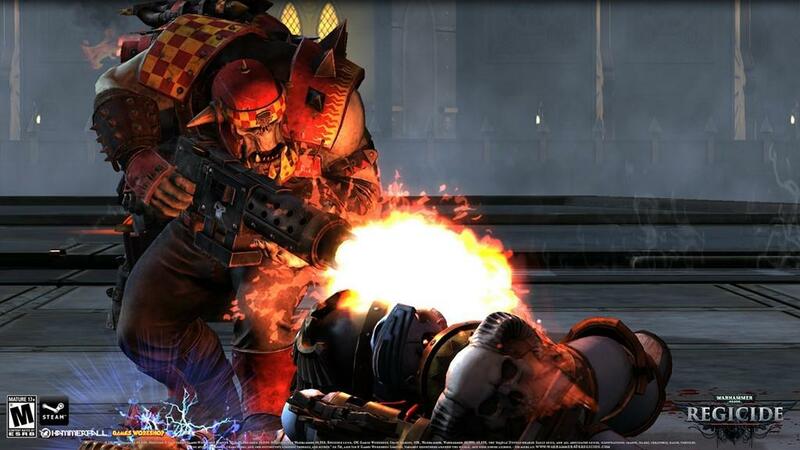 Think the rules of chess combined with the strategy and tactical abilities of units from the Space Marine and Ork forces. 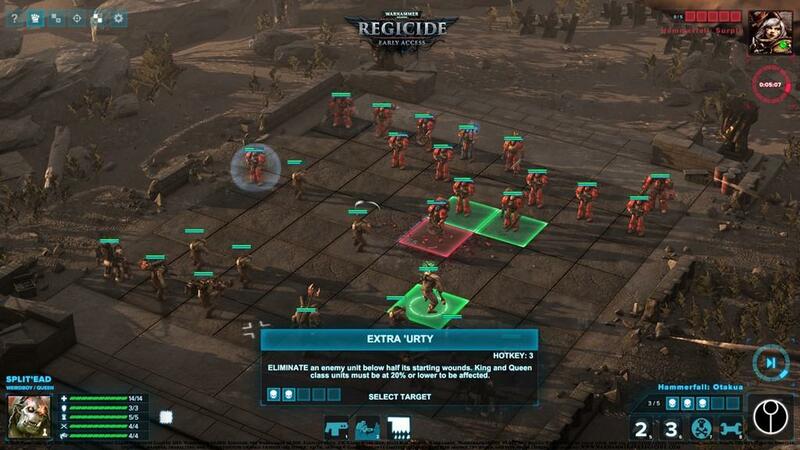 More importantly, Regicide mode adds two phases in which first players move their units and then secondly decide which tactical ability to utilize ranging from a hip shot to shield protection. Players looking for the more traditional set of chess rules can still opt for the included Classic mode that sticks to the classic rules we are all familiar with. 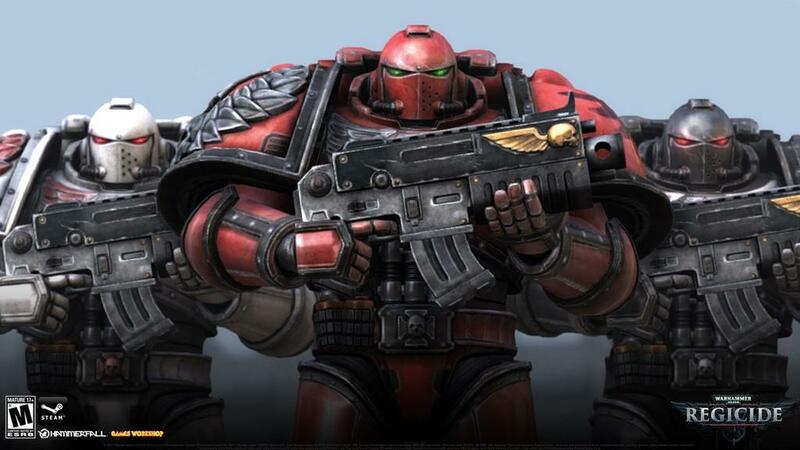 The game's campaign mode is split into three acts that has players leading The Blood Angels faction into battle against the ruthless Orks. 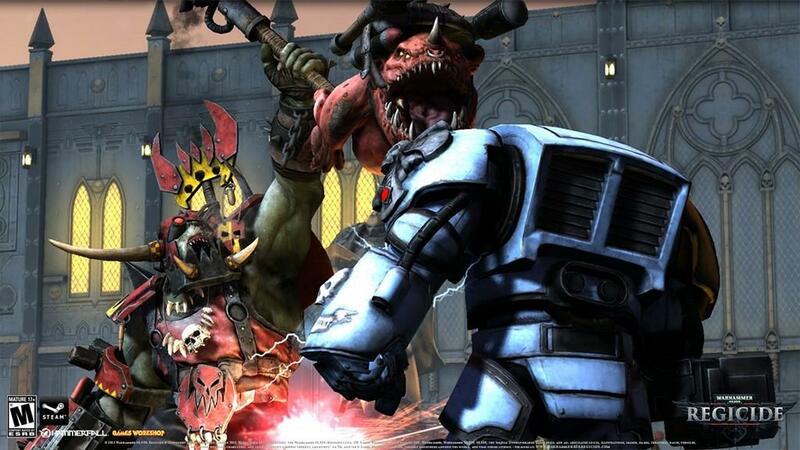 Players travel to the remote planet of Hethgar Prime to stop an invading force of Orks. Unfortunately, beyond the game's well made introduction cinematic video the narrative is simply presented by spoken dialogue boxes between characters. 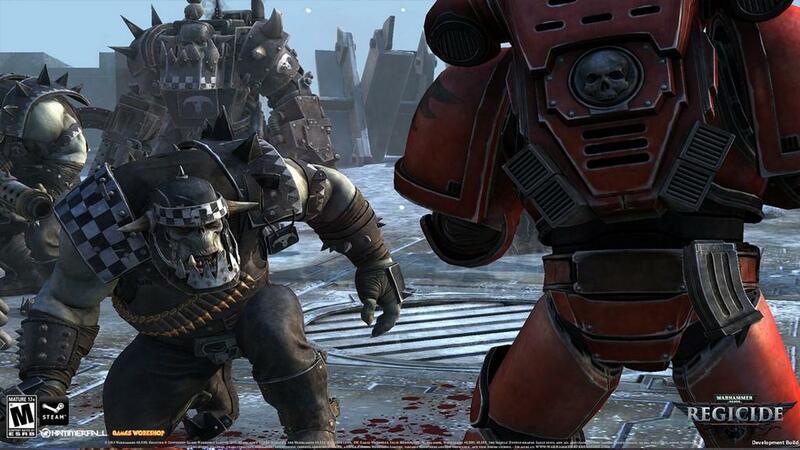 It's difficult to give much care to the narrative as most of the time it boils down to some group of Orks or a powerful boss character that has be defeated to proceed in the story. Other changing factors include the objectives for each level which include both primary and secondary tasks that can reward extra experience points. As well, the map locations change based upon the story level but it's soon revealed that much of them are recycled from a small set of locales. 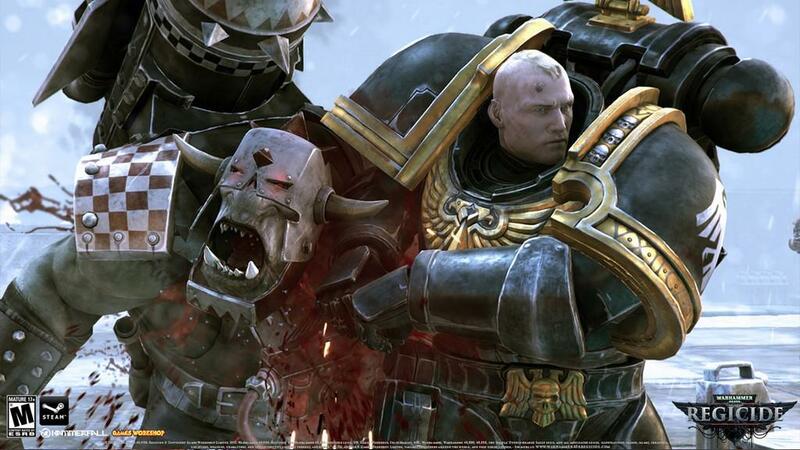 It's disappointing that the narrative is such a lackluster experience especially in regards to it taking place in the exciting Warhammer 40,000 universe. 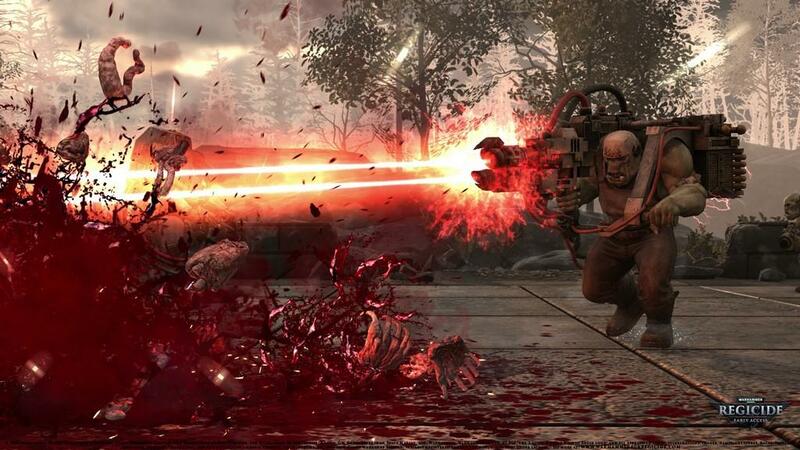 The most interesting elements of the campaign mode were the various objectives that each level had, which ranged from defending a point on the map to eliminating a powerful boss character. While many of the levels could easily be completed by just eliminating each unit of the opposing side, there were some that truly required strategy to overcome complex winning conditions. Yet, there were also instances in which a defeat or draw would occur that didn't explain what had caused it to happen. 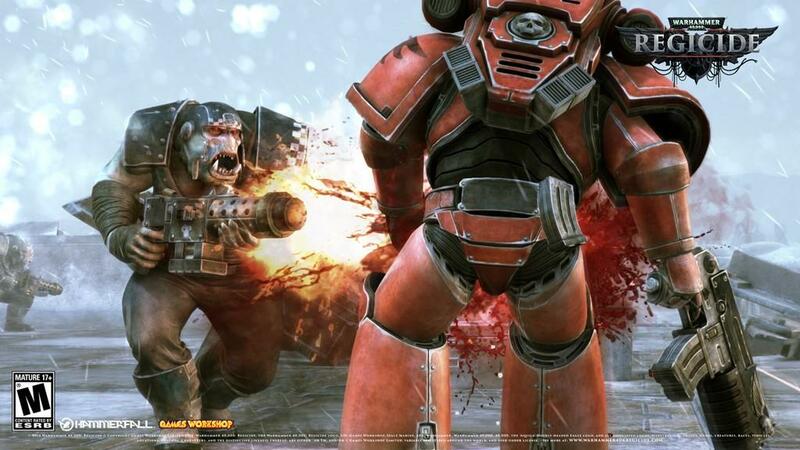 One match in particular involved having an entire group of Space Marines draw to just a single Ork unit. When the core gameplay and strategy work like they should the game provides an entertaining experience. 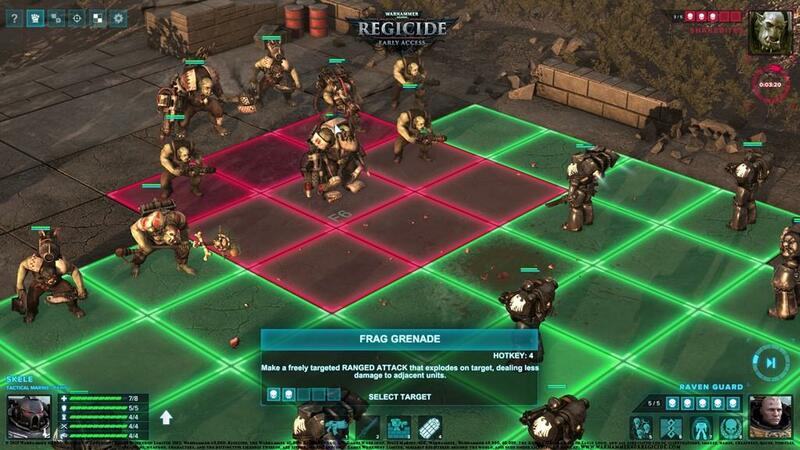 The campaign mode exclusively uses the Regicide gameplay rules that while seem simple in concept, often have odd quirks that require repeat playthroughs of levels to truly understand how everything works. 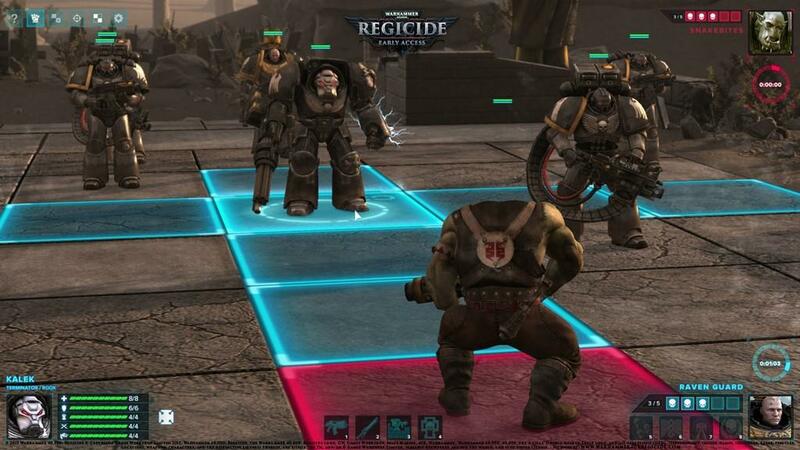 Other game features include a skirmish mode that allows for players to select to play as either the Space Marines or Orks in both the Regicide and Classic game modes. Lastly, a multiplayer mode is also available but unfortunately no matches were available to be found on multiple attempts during the review period. All of which is wrapped within an online account system that tracks player progress and experience gained from matches. Usually, these type of account systems are seen in games by larger publishers but to see this appear in a game of Regicide's scale was a welcome surprise. For those worried about having a constant internet connection to play can rest easy as the game does support an offline mode. 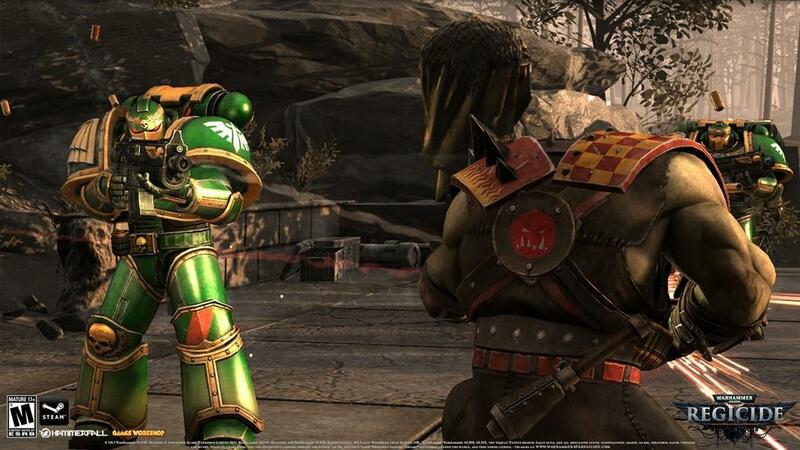 On the game's visual side it does an admirable job of portraying the Warhammer 40,000 setting. Characters in particular are the best visual highlights as they're both highly detailed and well animated. The sound effects were on par with games of the same setting, but the musical score became repetitive quickly and was much better being disabled. All of which concludes to a game that includes the bare minimum to qualify as an interesting experience, but one that doesn't succeed as something that would remain memorable beyond the initial hours. 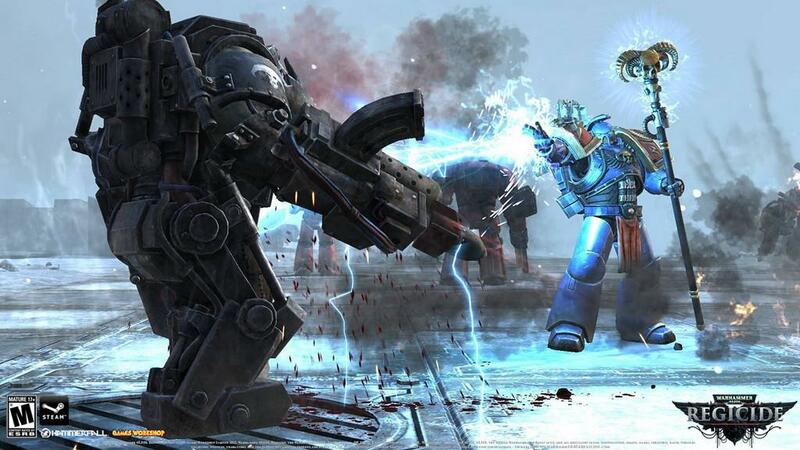 Dedicated fans to the Warhammer 40,000 universe will definitely find something to like in Regicide, but should have their expectations in check when comparing to other games set in the same universe.